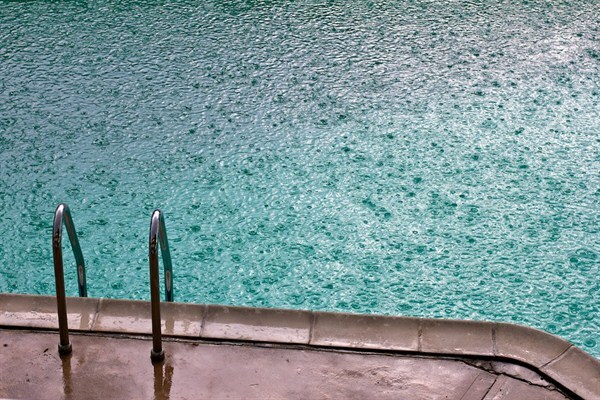 With the anticipated El Nino, we want to identify any potential flooding problems in your backyard that may impact your pool and s pa. 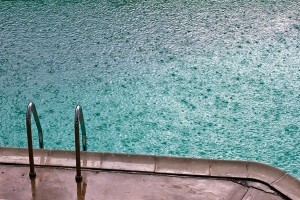 If we do receive an abundance of rain, most pools and spas will overflow at some point. This is not a concern in most cases since the pool and spa water will simply run off into decks and drains. Most backyards are designed to drain out to streets and gutters, but over time landscape may change and drains may fail. We want you to be prepared as much as possible, so here are some things for you to consider. Make sure all backyard drains are working; clear of debris and in good order. If you’re unable to repair or replace a faulty drain, landscapers are able to provided plans to divert water above ground. This is very important to address before the rains come, not in the midst. Next, if you’re aware of flooding issues that happen when your pool and spa overflow we can set up a “quick drain valve” on your filter pump. These valves use your filter pump to quickly drain water out of your pool and spa into a drain or gutter via a connected hose. Build a retaining wall(s), placing sand bags in appropriate areas. Plant appropriate plants and trees to hold and stabilize soil. Lower flower beds by removing dirt if needed. We don’t have control over the coming weather, but we can be ready when it come our way. Please call or email Evan if you would like to discuss any of the issues.